If you haven’t started conversion optimization on your website yet, then you’re already behind your competitors. Now is the time to consider how to make room in your 2018 budget to either build an in-house Optimization/UX team or seek help from a full-service digital marketing agency. But let’s face it, this isn’t a simple decision – there’s a lot at stake (like your brand, for starters), and either way, you’ll likely be living with the consequences on your webiste for a long time, so it’s crucial to choose an agency that you feel understands your wider business goals and is dedicated (and capable) to helping you achieve them as quickly as possible. How to choose the right agency is probably one of the most common dilemmas we hear from potential clients. Obviously, the agency you decide to work with should be aligned with your budget. They should also have a proven track record (through their client lists, case studies, testimonials, reviews, etc.) with demonstrated successes in your industry. However, when establishing such an important relationship, or collaboration really, you also need to look beyond hard skills like technical capabilities to things like company culture. Pay attention to the personalities of the individuals you’ll be working with on a daily basis because this can make or break a project. What are the most important things to consider when choosing an agency? 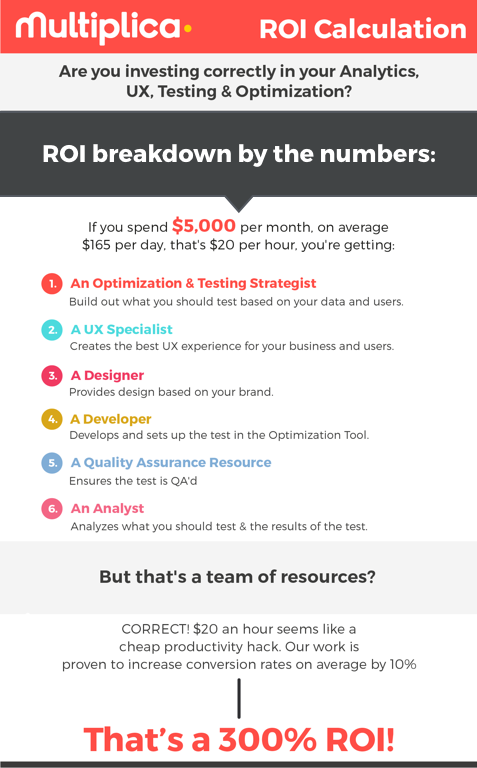 Cost - Figuring out the annual cost of hiring a digital marketing agency versus the cost of setting up your own in-house UX/Optimization team can be a bit complicated, but you’ll want to consider two important factors: cost control and flexibility. Agencies rates can vary widely depending on industry or the size of the agency and the scope of their services, but whoever you work with should be clear on deliverables and cost yet flexible enough to make necessary adjustments as they come up. Speed – a good agency should be able to leverage their established workflow and experience to begin producing impactful work for your objectives within the first 15 to 30 days of engagement. Flexibility - The standard agency practice of negotiating a fixed scope of deliverables or requiring you to document all directives you provide them can make things feel unbearably slow for some projects. Who has time to be rewriting a scope of deliverables for the umpteenth time, when your competitor is seemingly always a step ahead of you? Some agencies have recognized the need for more flexibility by offering hourly rates. Another approach used by some agencies is to offer a type of monthly subscription model that allows for even more flexibility. These kinds of subscriptions empower agencies to act much more like an in-house design team that you can allocate time up and down as needed, so you get the benefits of not having to watch the clock, while retaining that cost control that all smart businesses crave. Experience - An experienced agency should be able to plug right in seemlessly with your team, bringing with them a deep understanding of the metrics and types of situations your company is likely to face, plus familiarity with the typical solutions that have been tried and tested in the past. What kinds of things will an agency do for me and my company’s website? Improving the cost effectiveness of your development process isn’t the only benefit of investing in Optimization or UI/UX. 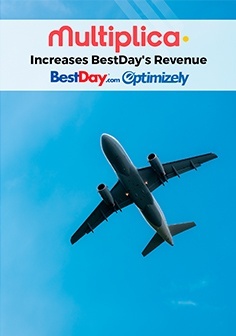 It also helps your bottom line by improving a wide range of business metrics such as user retention, customer loyalty, brand reputation and user productivity – all things that are also tied to your company’s bottom line. Think of it this way… If you’re in a positive mood, you’re more open, creative, flexible, and patient. Contrast that with how you act when frustrated or tense: your focus narrows and your lateral thinking abilities shut down. Let’s apply that concept to your user journey. If your site is optimized, personalized, well-designed (i.e. it’s aesthetically pleasing and follows universal design best practices) and offers a good user experience, users feel good when they interact with it, boosting their problem solving abilities. 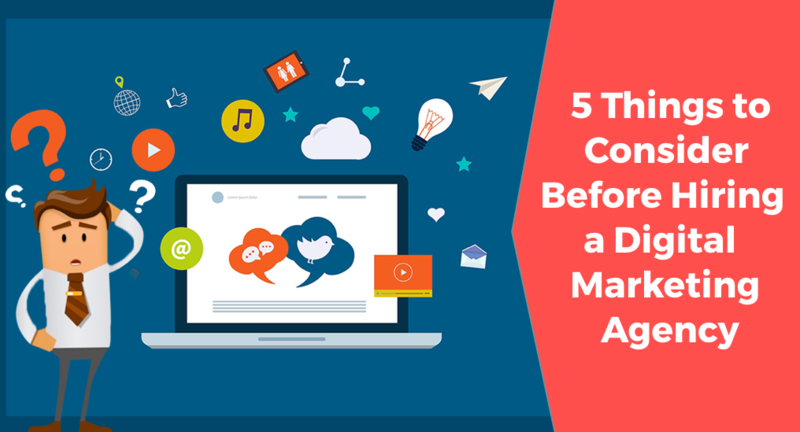 The more effectively they can solve their problems (or make a purchase or booking), the more likely they are to continue to interact with your site over and over again. The exact ROI is sometimes hard to quantify ahead of time since each product has different metrics. The general rule of thumb in organizations that routinely focus on optimization and improving UI/UX is that every dollar returns $10-$100. Our agency in particular sees in average ROI of 300% for our clients. This is because focusing on design saves costs down the line, especially early on in the product development cycle. If you still have questions about how to choose the right agency for your company, feel free to reach out to us at Optimization@multiplica.us.